Fiorentina will welcome Napoli to the Artemio Franchi this weekend for a crucial Serie A clash. Napoli find themselves in second, still trailing Juventus by nine points, and know that win on Saturday could propel them to within six points of La Vecchia Signora. On the other hand, a win for Fiorentina would them in the race for the European spots, with only five points separating them in ninth place and Milan in fourth. Fiorentina almost have a full squad to choose from, although they are missing Marco Benassi through suspension. ​Napoli will be without both Vlad Chiriches and Amin Younes due to respective injuries; while Marek Hamsik is also unlikely to feature after his reported move to China fell through. ​Fiorentina ​Lafont; Laurini, Pezzella, Milenkovic, Biraghi; Gerson, Fernandes, Veretout; Chiesa, Muriel, Pjaca. ​Napoli ​Meret; Hysaj, Maksimovic, Koulibaly, Rui; Callejon, Diawara, Allan, Zielinski; Milik, Insigne. In the last 25 games these two teams have met since 2007, Napoli have bested La Viola 13 times and drawn seven times, with Fiorentina coming out on top five times. However, the cause for concern for Fiorentina fans will be the fact that they have only won once in the last nine meetings between the two. Their first meeting this season resulted in an unconvincing 1-0 win for the Neapolitans, so Pioli and his men will have to impress on Saturday to beat a hungry Napoli side. Napoli's recent form has been surprisingly patchy, recently beating a strong Sampdoria side 3-0, but losing the game before that to ​Milan, which knocked them out of the Coppa Italia. ​​La Viola, on the other hand, have had a strong start to 2019. They haven't lost a game since their 1-0 defeat to Parma on Boxing Day, and since then have played fast, exciting football. 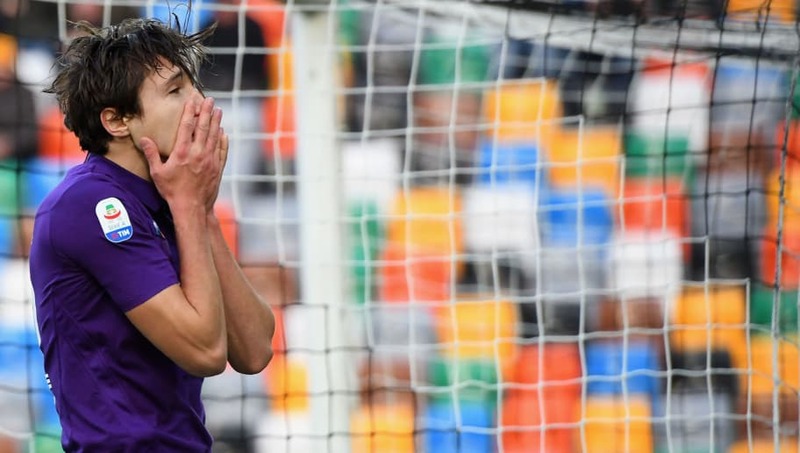 This was best highlighted in their recent 7-1 demolishment of Roma in the Coppa Italia, a game that will certainly go down in history for the club, as young star Federico Chiesa bagged three goals. This should prove to be the game of the weekend for fans of Italian football. Fiorentina's last home game resulted in a shock 7-1 victory of a side that was supposedly better than them, and so it's incredibly tough to count them out in this game as well. However, Ancelotti knows Napoli cannot afford to slip up or Juventus will definitely be uncatchable, and so won't view this as an easy game.